The Black Paw Studio Carting Newfoundland is ready to work! 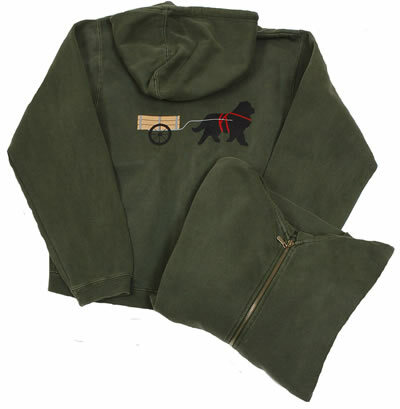 The women's full zip sweatshirt has the Carting Newf image on the back. This 80% cotton/20% polyester, pigment dyed sweatshirt is soft and comfortable from day one!